They’re billed as the last chance for couples desperate to start a family. But are IVF clinics being honest with the women queueing to hand over big bucks in the bid for a baby? You be the judge. The ache to have a baby can override any practical thinking, and that can mean a big payday for fertility clinics. Grace is one of the tens of thousands of Australian women who have pinned their parenthood dreams on fertility treatments, shelling out half a billion dollars to these commercial clinics. Now questions are being asked about whether these women – some so desperate for a baby that they are handing over their life savings or going into tremendous debt – are being told the truth about the chances of conception and the health risks of treatments. “Sometimes I feel like I’m a fraud of a woman. 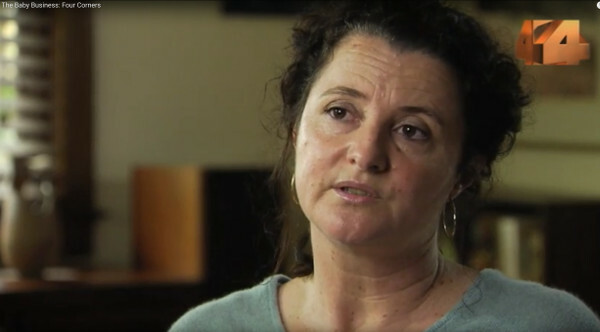 I look like one, but my body just isn’t doing what I want it to do, which is to fall pregnant and have a child,” Grace tells ABC TV’s Four Corners, in a special report due to air tomorrow. The 42-year-old has been through six rounds of IVF, without success. “All our savings go to IVF… Then you get that negative pregnancy result. There’s another $6000 gone,” she says. Tomorrow night Four Corners explores the industry promising women a chance at pregnancy for a price with a report titled, The Baby Business: Are women being sold false hope by the IVF industry? Julia put her body through eight rounds of fertility treatment to no avail and struggled to get a clear answer on her chances of conceiving. “I had this longing to have a child…I was hopeful that I would be one of the lucky ones,” she says. With the commercialisation of IVF, one fertility doctor says, “there’s a pressure in every single clinic to use IVF more and IVF brings in more money for a clinic”. And women are not being advised when it might be time to quit, instead being left to decide for themselves how much treatment they can take. “Embryos are like mud. You keep putting embryos on the wall of the uterus, eventually one will stick,” another doctor tells Four Corners, of the official attitude prevalent in some clinics. The program also highlights concerns that some women are doing IVF and don’t need to, some are being sold expensive and unproven treatments and some do it without knowing the risks such as potential links to cancer. The special report will go to air tomorrow night (Monday, May 30, 2016) at 8.30pm on ABC TV and iView.